His NHL career is defined by over 1,000 games played, 500 points, a trip to the Stanley Cup Finals, and standing as a first-rate teammate. Now, Ed Jovanovski is hoping to give back to the game that gave him so much. For nearly 20 years, he patrolled the blue line at hockey’s highest level as a hard-hitting defender with a heavy shot. The first overall pick of the Florida Panthers in 1994, Jovanovski’s last NHL season would come in 2013-14, a campaign in which he returned to the ice after hip surgery in January of 2014. And while he didn’t have the opportunity to end his career on his own terms, the now 40-year-old’s passion for all things hockey hasn’t waned in the slightest since he hung up his skates. That’s readily apparent throughout the 15 minutes spent on the phone with Jovanovski. 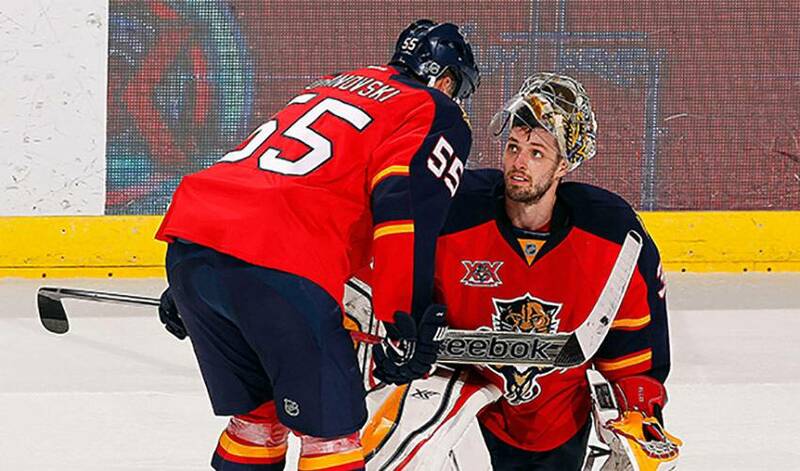 It’s what Jovanovski heard the moment he put on the Panthers jersey for his first big-league game. Much of what he heard and much of what he learned because of it comes out when he has similar chats with Florida’s younger players. He might not be their teammate, but Jovanovski, like he did during his playing days, wants to be there – in whatever way he can – for the Panthers that are just starting out. Jovanovski is hoping to utilize his NHL experience and mentorship skills with young players to find a career within the game. “I suppose like everyone that retires from hockey, you want to take that year to spend time with your family and see where the path might take you,” he said. Not that he’s complaining about his post-NHL life. It’s also been personally rewarding to take a trip down memory lane every now and again, to recall a hockey career that delivered World Junior gold (1995), World Cup of Hockey gold (2004), Olympic gold (2002) and a rookie ride to the Stanley Cup final in 1996.